Forget about the top side 'Heatwave', a cover of the Motown song..soul ain't my bag so I'll quickly move on. 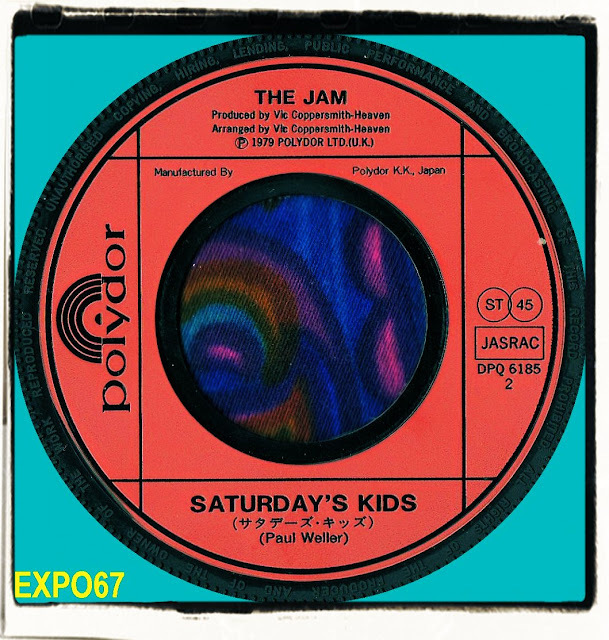 'Saturday's Kids' brings back a lot of memories for me, Weller's lyrics are littered with working class references and things teenagers got up to in late 70s Britain. Being brought up as a kid on a North East Council Estate wasn't easy so I can completely relate to this song. "Dip in silver paper when their pint's go flat." This is of course is a reference to getting out a wrap of speed, something I used to do most Friday and Saturday nights back when I was young and daft. 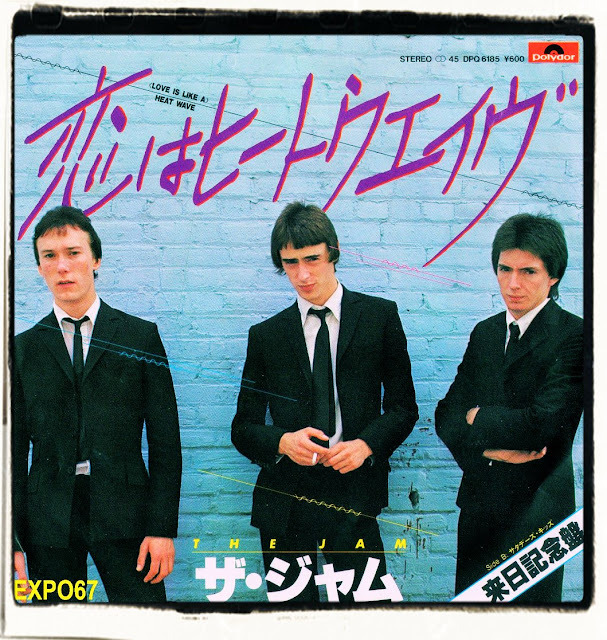 'Saturday's Kids' was not released as a single in Britain but can be found on the album 'Setting Sons'...The 45 shown is my copy of a Japanese import.